We had 1 day to spare between the end of racing and our flight home. We decided to pack in as much of an experience of Beijing as humanly possible in that time! We began with dinner on the evening we arrived. It was not really like any Chinese meal I have ever had before! The restaurant was packed with locals and we were the only foreigners there. Also, it was a rather odd atmosphere because the waiting staff (who pushed street carts around the restaurant) were all wearing Santa hats and the music took the form of Christmas carols!! We then enjoyed a bit of retail therapy at the Silk Street market which is reknowned for its copies of famous brands - I bought myself a pair of Uggs. The following morning we were up early for a packed day of sightseeing. 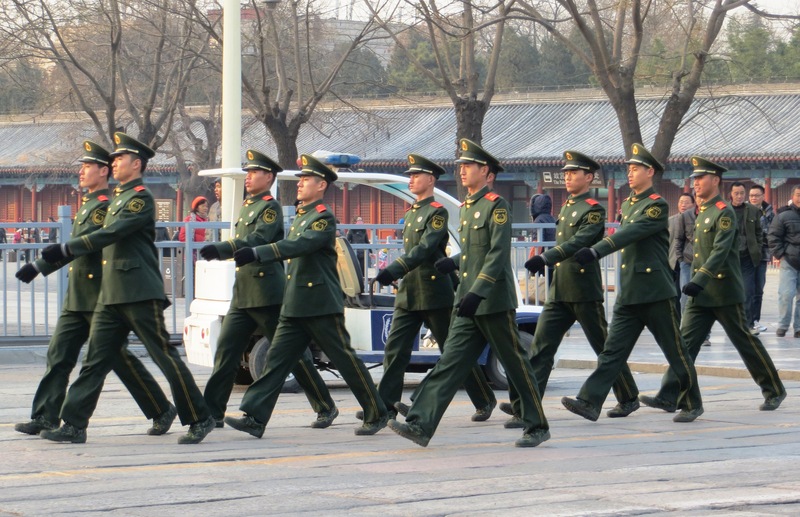 First on the itinerary was the Forbidden City where we were greeted by a platoon of soldiers marching. I didn't really know anything about this before I went but it turns out that this was a palace consisting of many buildings (the exact number of buildings being lost in the many statistics given to us by our guide). And apparently, it was the biggest palace in the world - even bigger than the one in America (oh dear)!!!!! It was a freezing cold day and the entire tour was conducted outside - I was beginning to long for a lycra ski suit and the side of a mountain (which would have been considerably warmer). 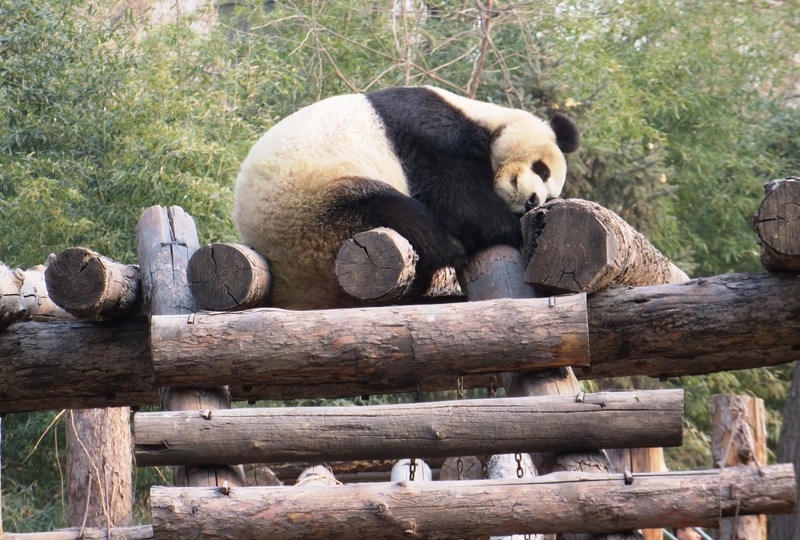 I was relieved to get back into our vehicle for the journey to the zoo, for my first encounter with a Giant Panda. I wasn't disappointed but they were certainly smaller than I expected and much, much dirtier. I bought a toy one as a memento but the real one was brownish, not white like my new friend. 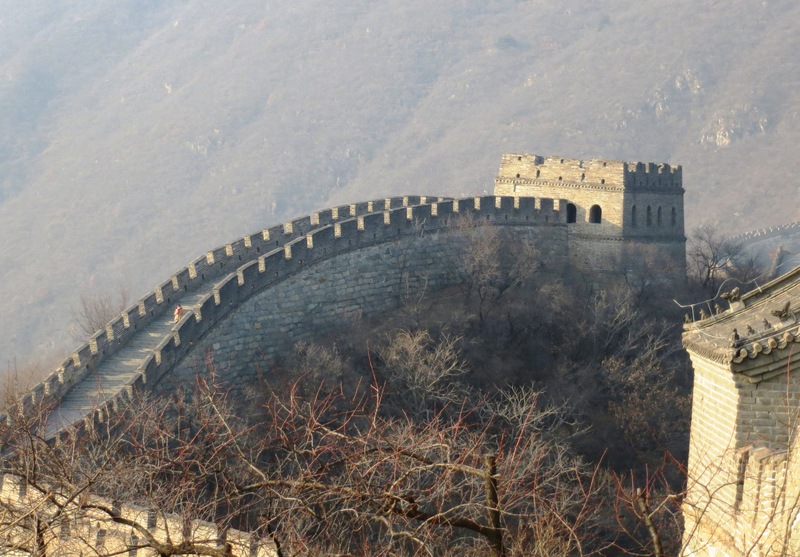 From the zoo, we made a 90 minute drive up into the hills to the Mutianyu section of the Great Wall of China. 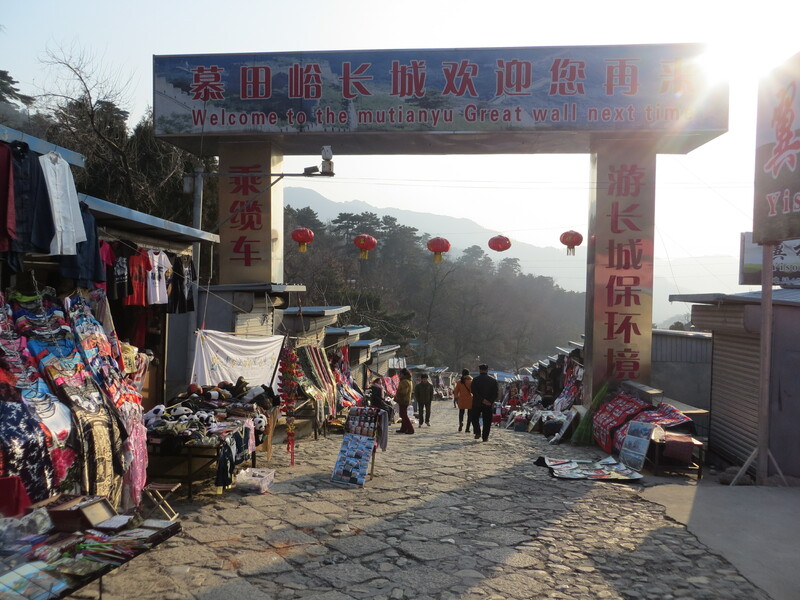 We had to walk for ages up a steep, uneven path lined with tiny market stalls with the vendors calling out "I know you"! I later found out that these people were from farming families and the government had provided the market stalls when their farm land had been requisitioned, as way to enable them to make a living. I had seen parts of the wall from the car when we travelled to Genting but, up close, it is much more impressive and it was a very special place. It is huge and goes on and on for miles, into the distance. I am so glad I went to see it; I think it was one of the most amazing places I have ever been. 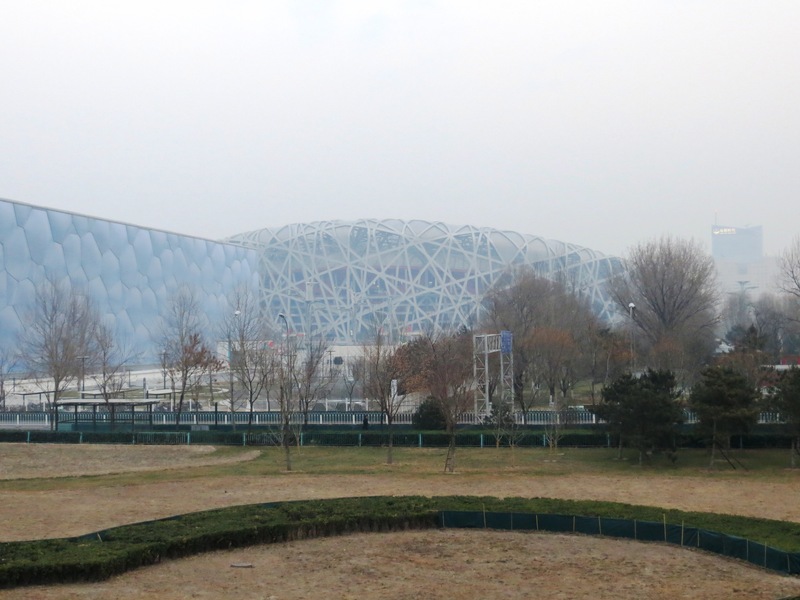 On the way back to Beijing we made a quick visit to the Birds Nest stadium which was the home of the 2008 Olympic Games. A very busy and very tiring day but I think it was definitely worthwhile because we saw so much. Having travelled all that way, it would have been a shame to leave China without having seen any of these things.